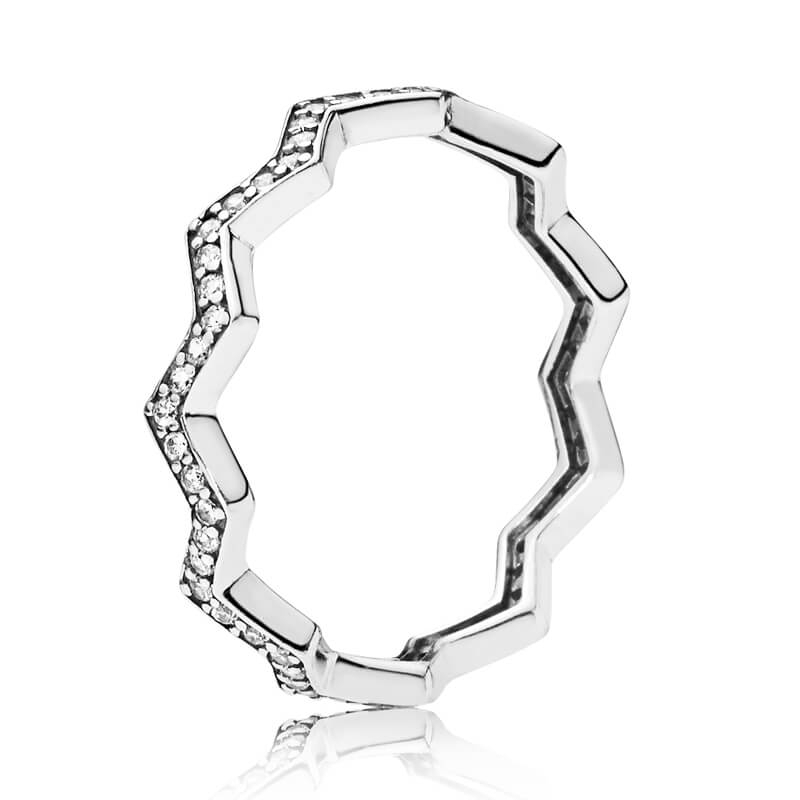 PANDORA Shimmering Zig Zag Ring. The intriguing zig zag shaped band of this sterling silver design is beautifully embellished with a row of sparkling stones. Perfect for stacking, to create a look that's as individual as you are.